Posted on February 14, 2019 at 12:17 pm. More than 50 Woolworths pubs in New South Wales are under investigation amid claims they were illegally serving free drinks to gamblers on poker machines. A whistleblower also alleges that staff were given explicit instructions on how to cover up the practice. The NSW Office of Liquor and Gaming Regulation (OLGR), which has been on the case for almost 12 months, told the ABC this week that it had interviewed staff at the hotels in question and issued “coercive notices” in a bid to retrieve relevant documents and records. The venues in the spotlight are all owned by the Australian Leisure and Hospitality Group (ALH), in which Woolworths holds a 75 per cent stake. Emma Pearson, a former employee at an ALH hotel in western Sydney, has given detailed evidence on the nature of operations in the company’s gaming rooms. “If they were a regular gambler, or they paid high dollars on our machines then they’d give them a free drink of whatever they drank,” she said. Pearson added that staff were instructed to hide the evidence by logging complementary drinks at various points of sale outside the pokies room. “We were told don’t put that through the gaming computer so if we get audited or get checked, it won’t come up on that till,” Ms Pearson said. 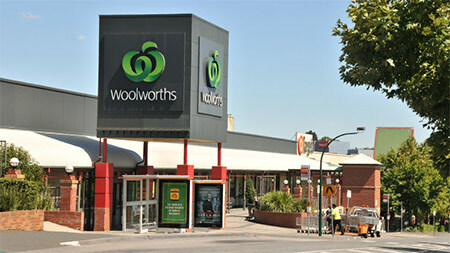 The investigation commenced after MP Andrew Wilkie said in February last year that Woolworths staff were illegally surveilling customers in gaming venues. ALH responded with an internal inquiry and a promise that it would share any and all findings with state gambling regulators. However, records obtained under the Freedom of Information Act (FOI) detail how the company instead submitted a summary of the investigation and refused to turn over the complete report. Those documents also show that those interviewed as part of the inquiry, which was led by the MinterEllison consulting firm, were predominately venue managers, operations managers and other high-ranking staff. “It was, on the face of it, a whitewash,” said Mr Wilkie. “It was internal, it was pretty flimsy, they only interviewed senior management, and crucially we now know they didn’t share their findings with at least the NSW regulator and presumably other regulators. Under NSW law, it is illegal to serve free or discounted drinks as an incentive for gambling. ALH owns more than 300 licensed venues and operates around 12,000 poker machines nationwide. Find out how you can score an uncapped 100% bonus match when you deposit deposit $30 or more at Raging Bull Casino.